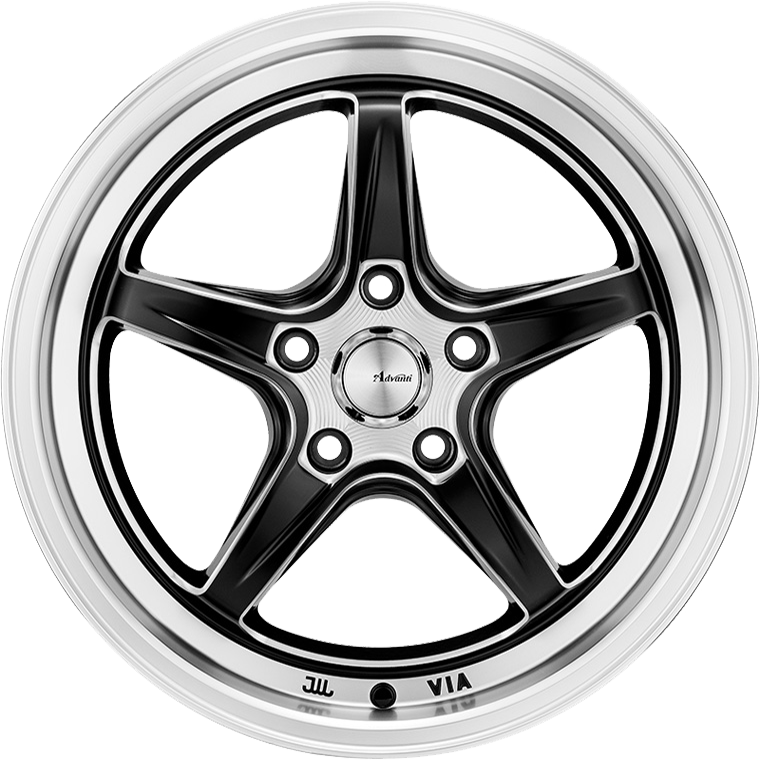 Advanti Scope features a retro five spoke design, finished in Semi-Gloss Black with Polished Milling. Advanti Scope features a retro five spoke design, finished in Semi-Gloss Black with Polished Milling. All Advanti alloy wheels are fully load rated and fitment tested to ensure that safety is never compromised. The latest quality testing technologies are used throughout our manufacturing processes to guarantee that each wheel meets the highest standards. Quality testing includes industry leading X-Ray scanning technology, air leakage tests and radial/impact/cornering strength tests. This uncompromising attention to quality and detail differentiates Advanti wheels from other brands. Advanti Racing are certified to have passed and exceeded international standards including the strict JWL, VIA and TUV tests.